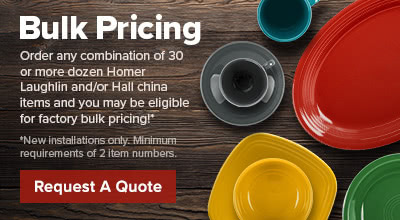 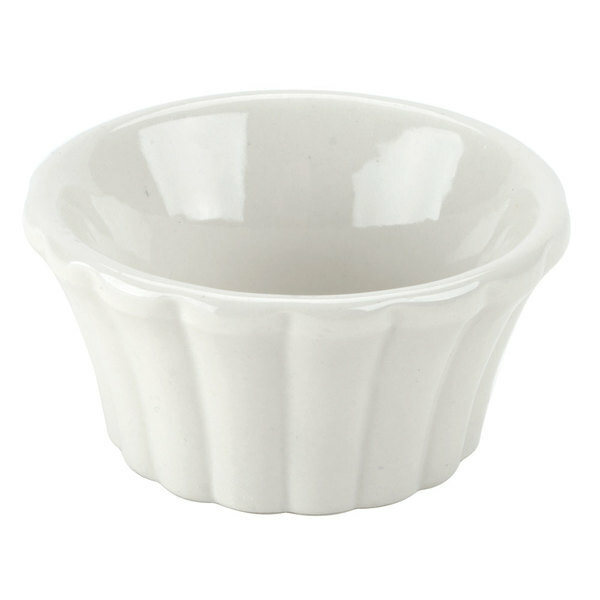 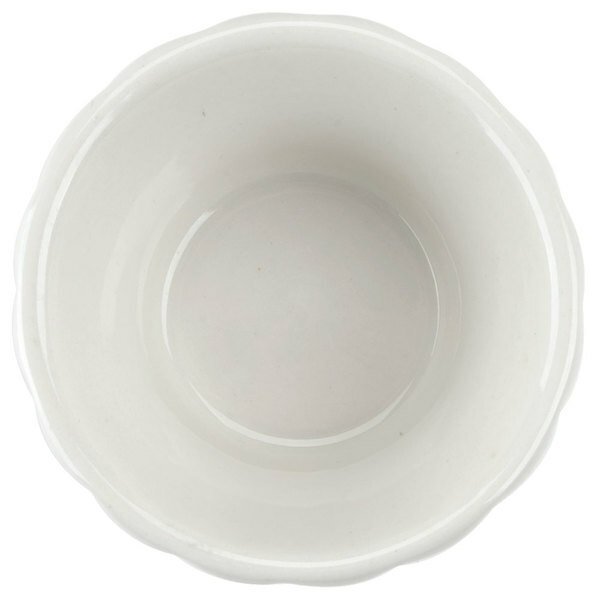 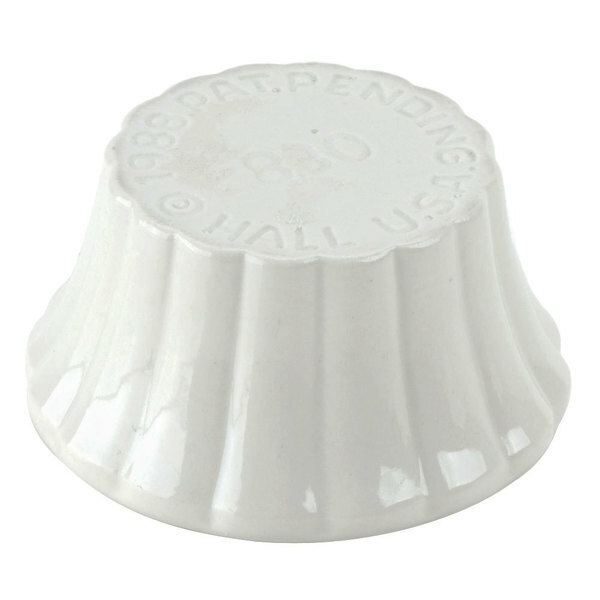 Complement your most popular appetizers, entrees, sides, and desserts with delectable sauces served in the Hall China 8320ABWA bright white 4 oz. 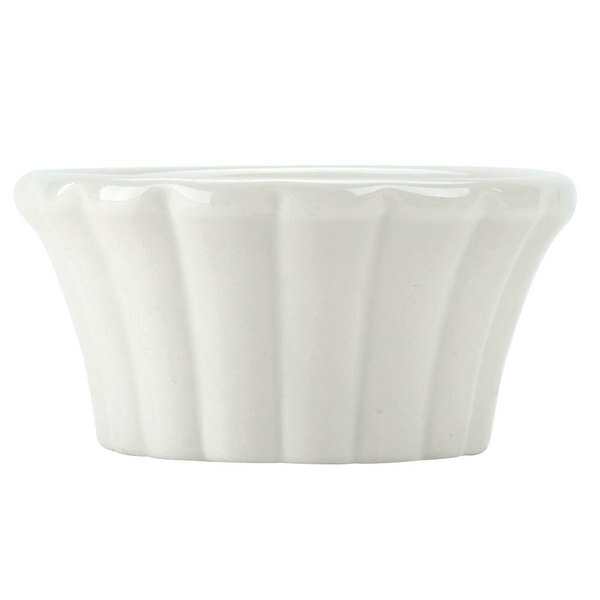 flared ramekin. 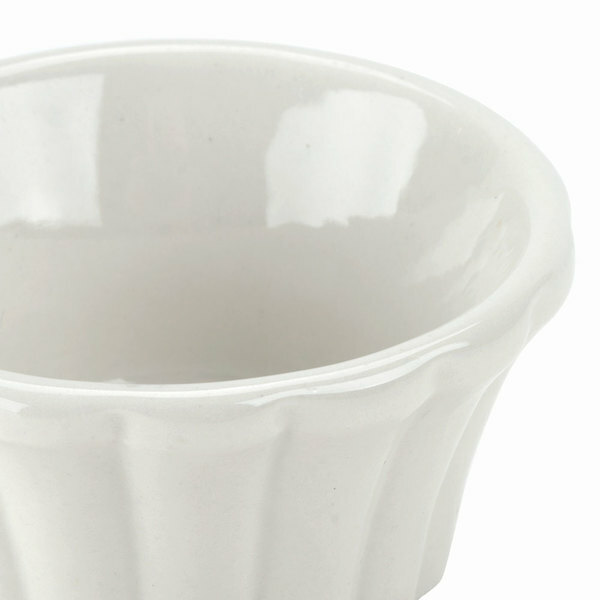 It features a wide ribbed, tapered side for added visual interest. 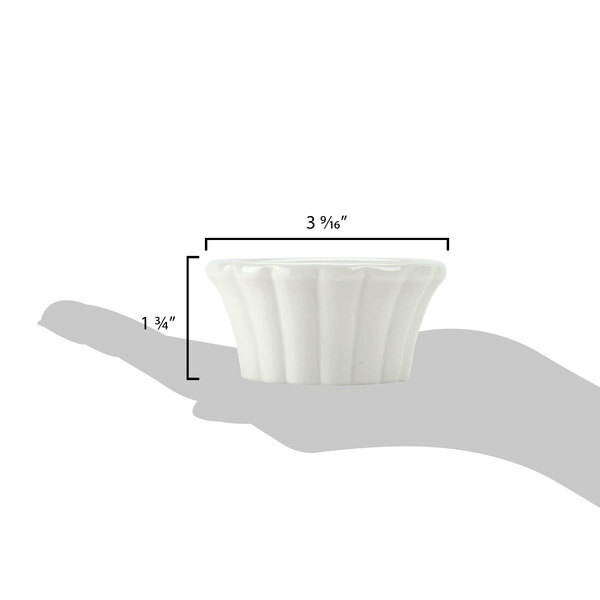 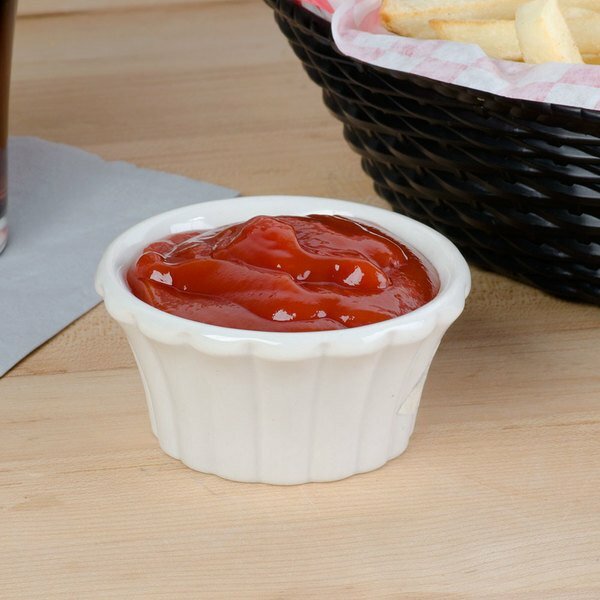 Each flared ramekin is designed to provide the best heat and cold retention available, so sauces, salad dressings, and whipped butter stay fresher longer.